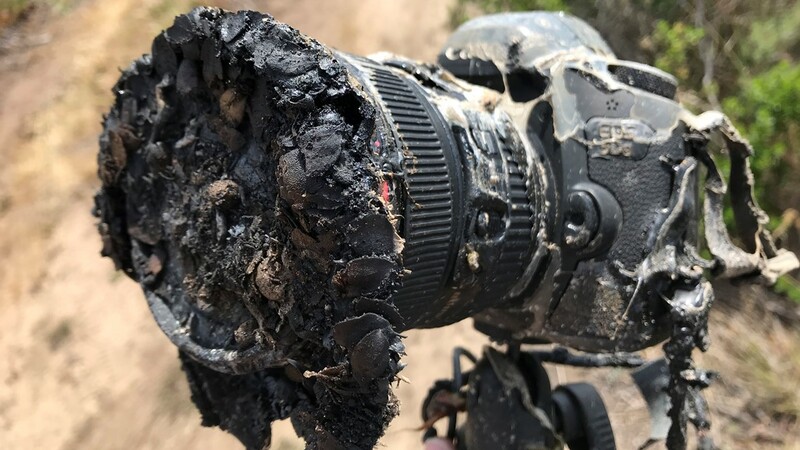 When experienced NASA photographer Bill Ingalls set up his equipment to launch the SpaceX Falcon 9 on Tuesday, he could never have imagined it would be a photo of one of his cameras that would attract so much attention. After the rocket launched successfully, images of his freshly charred camera spread like fire online. Most people assumed that they were placed too close to the starting grid, but that did not happen. Ingalls told NASA.com that the "molten camera" had experienced its demise thanks to a brushfire triggered by the rocket launch. "Unfortunately, the launch started a grass fire that trickled one of the cameras out of the area," explained Ingalls. Ironically, The Damaged The camera was the one he had set furthest from the launch pad, about a quarter of a mile away, the four cameras in the safety area of ​​the launch pad were undamaged. Firefighters waited to greet him as Ingalls returned, recognizing quickly that the camera had been destroyed and forcing the camera to see if the memory card could be salvaged, according to NASA.com. Pictures of a bushfire approaching a distant camera to photograph the NASA / German GRACE-FO launch on May 22, 2018. Ingalls has been called the melted mess as his "Toasty" camera, and she's likely to be exhibited at NASA's headquarters in Washington DC. Pictures of a bushfire approaching a distant camera to destroy it then to NASA / German GRACE to photograph -FO-Start on May 22, 2018.